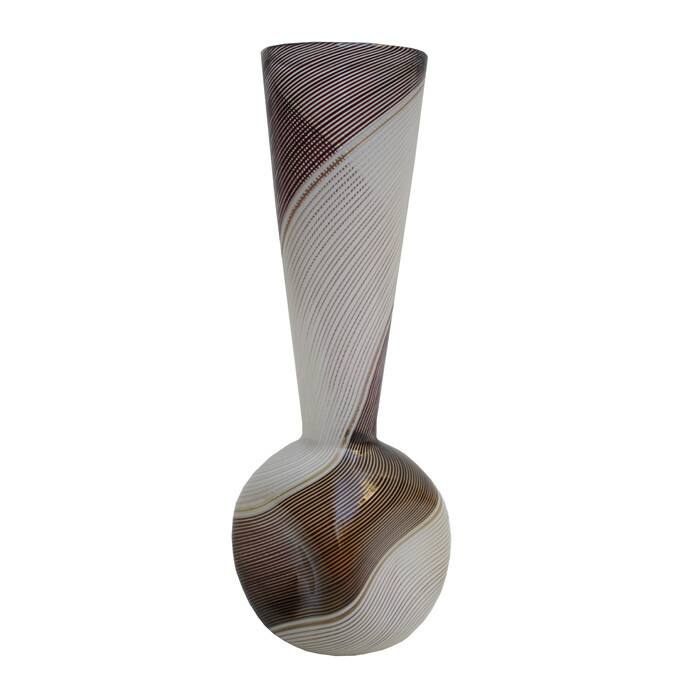 A Dino Martens 'Mezza filigrana' Murano Art Glass vase. Clear glass, ribbons, white, dark purple and aventurine. Dimensions: H:13½ W:4 D:4 Inches.